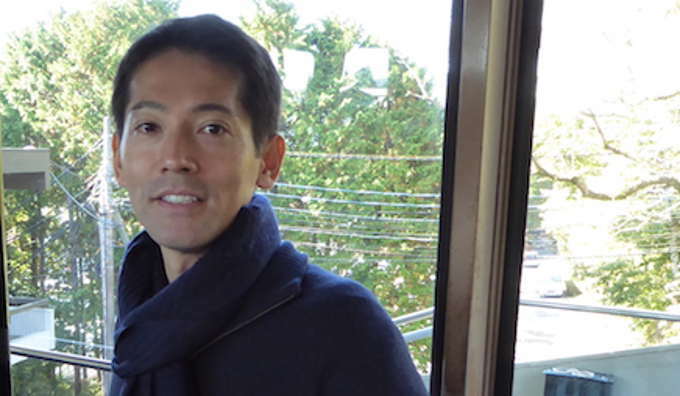 Seeking help for even minor mental health problems still carries a stigma in Japan. This is particularly unfortunate because clinical research shows that a significant portion of Japanese adults suffer from depression or other mental illnesses. Ayako Shimizu, the founder of Hikari Labs, has an innovative approach that represents a huge step forward in addressing this problem. Hikari Labs develops and distributes video games based on cognitive behavior therapy, and these games enable players to literally train their brains out of depression. Her approach bypasses both the stigma and costs involved in seeking treatment. Even in conservative Japan, she is seeing increasing and enthusiastic adoption by corporate wellness programs. But this whole project was almost shut down by the very people who should have been helping her. Ayako has a fascinating story, and I think you’ll really enjoy it. Disrupting Japan, episode 85. 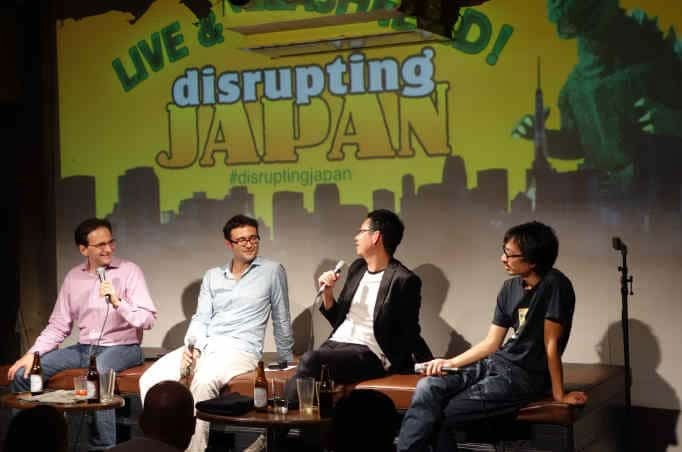 Welcome to Disrupting Japan, straight talk from Japan’s most successful entrepreneurs. I’m Tim Romero and thanks for joining me. Now long-term listeners know that this show is not really about start-ups. Well, of course it’s about start-ups, but it’s about so much more than that. 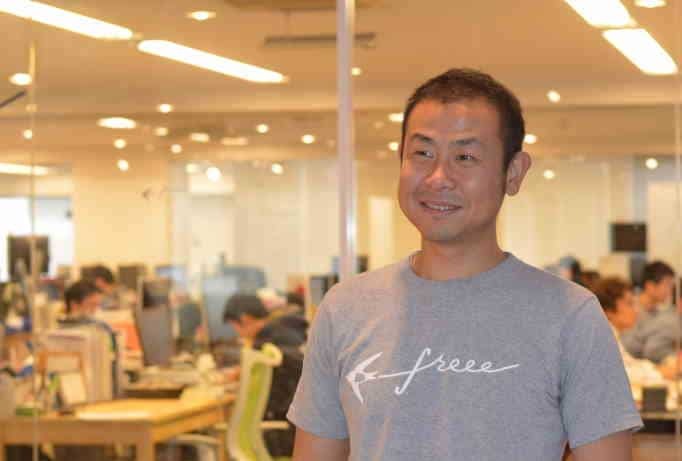 Japanese start-ups give us a unique perspective on Japanese society. Looking at the problems that need to be solved, the path people are taking to try to solve them, and seeing what challenges society throw up against them can tell us more about a country or a society than mountains of surveys and piles of longitudinal studies. Start-ups tell us the kind of future that people envision, and how the present plans on resisting the future. Nowhere is this more true than with today’s guest. Ayako Shimizu, founder of Hikari Labs. 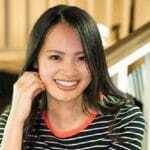 Ayako is developing and marketing video games to treat mental illness, and she has the clinical data that shows the approach has real therapeutic value. And yet, perhaps unsurprisingly, Japanese academia and the medical industry as a whole have been—Well, let’s just say less supportive of her efforts. But still she’s seen steady increases in both the number of users and growing interest from a surprising segment of corporate Japan. But you know, Ayako tells that story much better than I can. So let’s here from our sponsor and get right to the interview. Tim: So I’m sitting here with Ayako Shimizu of Hikari Labs, and thanks for sitting down with me. Ayako: Thank you, Tim, for inviting me here. Tim: Now Hikari Labs is focused on improving mental health through software, I guess. But why don’t you tell us a bit about what Hikari Labs does and what it’s mission is. Ayako: Okay, well Hikari Labs currently have two services. One is online counseling called Kokoro Works, and another one is this game application called Sparx, which was developed at the University of Auckland in New Zealand. And our mission is to help shape a society that’s the psychological care is more reachable to people. Tim: Let’s talk about each of these individually. Tim: And later on, we’re also going to talk about your new AI project. Tim: But the Sparx project is really interesting. It’s a role-playing game that’s based on behavioral therapy. So what exactly is cognitive behavioral therapy? Tim: No, it’s you’re focusing on the bad things that happened. Ayako: Yeah, yeah, yeah, yeah, yeah. So cognitive-behavioral therapy, or CBT, tries to adjust people’s thought in a little bit more positive world or in a more realistic way. Tim: So I could see how that would work in a counseling session where you would have a therapist that would just kind of guide the patient towards the more positive things. But how does that work in the Sparx role-playing game? Ayako: Yeah, so Sparx is a role-playing game, and it’s based on CBT methodology. All of its works is very unique. So your avatar is in a fantasy would, which balance of mood was destroyed. So it’s a very negative world, and your avatar goes in the world and saves the world through learning CBT. So those negative feeling character attack you, and you have to defend yourself by giving more positive comments or realistic comments. Ayako: Yeah, yeah, yeah, yeah, yeah. Tim: —and that trains the person to do the same things? Tim: That’s a really interesting idea. Is there any clinical data or studies that back whether it’s effective or not? Ayako: Yeah, actually this was created by the medical team of the University of Auckland in New Zealand. The suicidal rate among the teen is very high in New Zealand, so it was originally a national project. The developers of Sparx found that the remission rate of depression was 43.7%, which is pretty high. And they concluded that Sparx was as effective as face-to-face therapy. Tim: So you brought this game to Japan last year in 2016, right? Tim: So how has it been received in Japan? Ayako: Well, I haven’t been started advertisement a lot. So even though I haven’t done much advertisement, I think it’s been spreading among those people who need help. Tim: So how many users do you have? Ayako: Forgive me, it’s very small proportion. It’s around 2,000 users, but it was originally 1,000 yen. And now we changed it to 2,000 yen. But most of the applications are free these days. I think 2,000 users is pretty good without any advertisement. Tim: This is interesting. To try to market this as a game, which—in one sense it is, but the game business model doesn’t really apply as well. Ayako: Yeah, it doesn’t. No. Tim: Are you marketing this as a game? Are you marketing this as therapy, or kind of self-help? Or how do you present it? Ayako: Yeah, I’m marketing this as a self-help tool. But a lot of times, many kinds of self-help applications are ready. But then those applications seems too serious for some people. So by saying this is a self-help but still a role-playing game, then those people are a little bit still hesitant to reach some therapy, they’re more open to use. Tim: So who are you targeting with the game? Is it teens? Is it young adults? Is it the whole spectrum of everyone that plays games? Ayako: No it was—I was open to anyone, but then I found out most of the users are male aged from 30 to 50, which is very interesting because those are the age that has high rate of depression. And plus those are the age that are used to using smart phones. Tim: So in New Zealand, it was targeting teens, but in Japan you’ve seen the biggest used among 30 to 50. That’s interesting. Ayako: That is interesting, and what’s more interesting is that depression rate is much higher in female than male. But at the same time, the suicidal rate in Japan— the male rate of suicide is twice as female. Which means is that a lot of male who have depression doesn’t seek any care but decides to suicide. So what I see is since it’s a game, and it seems more lighter than all the other treatment, I think a lot of males are open to using it. If that makes since? Tim: I think that does make sense. A little later on I want to talk about kind of the social stigma about depression in Japan. But why is it that women in Japan have a higher rate of depression but the suicide rate is higher among men? Do women seek out help more? Ayako: Yeah, yeah, yeah. They do. They are more talkative. So that’s what researchers say women are more open to talk about their problems, but male are not. Even though male have a lot of friends, they don’t talk about themselves that much. Tim: Okay. That’s pretty universal? Ayako: Yeah, it is. It is a very universal thing. Tim: Okay, do you think the reason that there are so many men that are playing this game is because they need it more, or are just men more attracted to RPGs than women are? Ayako: Maybe both, but I think a male user needed help but they couldn’t find anywhere to go. And they found this application, which they can do by themselves without notice by other people like friends or family. They can just do it by themselves in time. Tim: So these kind of products are always interesting to me because it’s a game, but you can’t market it as a game. Tim: Because it can’t quite compete against other games that are just offering fun than that kind of psychological button-pushing. So how do you market this? Do you market it through game channels like the app store, or do you market in conjunction with therapists and mental health groups? How do you reach people? Ayako: Yeah, we sale at app store, but how we market through SNS, and through all those experts of mental heath care. For SNS for example, I tweet mental healthcare advice, or I tweet what’s the typical symptom of depression or anxiety disorder, and those people who are interested in those things are following me. And yeah, I’m doing advertising in Twitter too. And there are several people who’s interesting in my products so they are also helping me too in advertisement. Tim: Okay. And what’s been the reaction of the mental heal community in Japan? I know that the medical community in Japan seems to be very conservative. Ayako: It is very conservative. It’s been tough for me. Tim: So psychiatrists and counselors, what do they think of the game? Ayako: Well, psychiatrists or counselors around me are very willing to help me. They believe those kind of application or any product that’s more easy for users are very important. But at the same time, a lot of counselors or psychiatrists have their belief that the counseling has to be face-to-face or that the counseling has to be in a certain way. Tim: So still a lot of skepticism about whether this will work or not or whether it’s appropriate. What’s the hesitation? Ayako: The effectiveness of it has been proved in the University of Auckland already so they can not really doubt about the effect. But I think it’s the impression they get from the game. They don’t really trust a game application, I think. Tim: So it’s just too different from what they’ve learned in school and too new? Ayako: Yeah, university’s just university. And I’m the one who’s paying for my own education and fees, and paying for taxes as well. And my private time is my private time. I didn’t know that I wasn’t allowed to do whatever I want during my private time. Tim: So that’s amazing. So even after you graduated, and you released this game therapy, they called you up and what did they say? Ayako: They were like, ‘Why didn’t you tell me?’ Things like that, and they were very upset. Also because I was writing an online counseling service at the same time as well, and I had some friend who is still in school helping me. So they are also upset about that. Tim: Was it in violation or rules? Were they worried it would reflect on the school, or is it just doing something new without permission? Ayako: I think it was pretty much doing something new without permission. They were saying that I’m not following the ethic of the clinical psychology. But I had supervisors as well who were very professional. It wasn’t like I was doing my own thing completely different from clinical psychology. I did it based on what I learned, and I had a professional supervisor as well. So there weren’t no way I’d go crazy and mess up with clinical psychology. But that was their point, I guess. But I think it was pretty much that I did new things without asking them permission. Tim: It sounds like it. Well, Japanese universities—and I think one of the biggest problems that exist there is the level of abstraction. So for example, most business professors in Japanese universities have never run a business. Most computer science professors have never had to make commercial software ever in their entire career. Is the same true in psychiatry? Ayako: Yeah, it’s pretty much the same. A lot of people have never gotten out of school so they don’t know what’s their real life basically. Ayako: Well, they had patients, but my point was that those tools can be very convenient for users. It doesn’t matter wherever they live at, and it doesn’t matter what time they use. It’s very convenient, but even though it was convenient for users, they don’t think—It’s not that important. What was more important for them was to follow what has been done. So I could see that any tool that is more reachable for users can be very, very helpful for those people who need help but who cannot reach any help. Tim: Yeah, I think it’s—Certainly, if you’ve got the clinical data from research that’s been done in New Zealand. You’re addressing a real problem of a big segment of society that needs help but for social reasons is afraid to go it. It seems like something that should be appealing to a lot of people in that field. Ayako: Yeah, yeah, yeah, yeah. But it seems that importance that those people waiting for new things—Like there are people that need help but cannot take any action. But they don’t see the point. Ayako: Well, they pretty much said—Yeah, they were trying to stop me—stop the entire business. But then I explained how I lent money from bank and there’s no way I can stop at this point. And they were like, ‘Okay.’, but still they wanted to go to school and apologize to them for not speaking with them. Yeah. Which is pretty sad because I went to school in US and in Australia, and worked at an international bank for several years. So I knew the international culture and what’s other schools are like overseas. And even though the school I went was supposed to be a top university in Japan, but they are so closed minded, which is pretty sad. Compared to other schools overseas it is very behind. Yeah. Tim: The other part of your business now is Kokoro Works, which is—Kokoro is Japanese for “heart”. Tim: As in “works”. And basically, it’s an online counseling with video chats and things like that. What’s been the reaction of for example, your former professors and mental health professionals in that approach? Because that seems like a much smaller step. Ayako: Well, I think they are upset about it too. Yeah, they were upset about it too. Even though those video counseling has been spreading in Japan. It’s been around for two to three years. And they knew about it, but they were still not okay with it because I was the one who was running the business and I’m not as trained as I should be as a clinical counselor. That’s what they thought even though I had a supervisor to monitor me. Tim: Again, was the concern really that you weren’t qualified to be a counselor or just that you were violating seniority by being in charge? Ayako: Yeah, well it’s more about, I think, violating their name of the school, I think. Tim: How have people reacted to video counseling? Ayako: Well, a lot of people find it useful. I get clients from across Japan. Not only Tokyo or Kanto area. I get clients from Osaka, Kanagawa—various places. And those are the places where they cannot find as many clinical psychologists as in Tokyo. Tim: Do you think it’s easier for people to do counseling over Skype than it is one-on-one? Ayako: Well, depends. There are difficulties doing own video online counseling. I cannot see the precise or very detailed changing facial expression or change in the color of face. But still those are the people who could not find good counseling in that region. It’s not as same as face-to-face counseling, but I think it’s still better than doing nothing. Tim: It certainly makes sense that you’d want to do counseling face-to-face. I mean that’s why we’re doing this interview face-to-face instead of over Skype for instance. Tim: Well, let’s talk about kind of the state of mental healthcare in Japan. So is this kind of counseling, whether it’s in person or over Skype, is that covered by health insurance here? Ayako: If the psychiatrist follows this very specific manual of cognitive behavioral therapy, then it will be covered by insurance. But there are very few psychiatrists who are trying to do CBT in that method so not many people can do therapy by insurance. Tim: Okay, so the insurance limited to really specific. So therapy’s not covered under the health insurance. How do most Japanese deal with depression? How do they seek treatment? Ayako: They don’t, and I think that’s the problem. Only one in four people seek for medical care. And those other 75% people do nothing. Or it’s then like after finally frustration of really worse like they cannot go to work, or they cannot go to school, or friends and family is also affected. They wait until that point. And by the time they come to counseling or see a psychiatrist, the frustration’s very several. Tim: And do you think it’s because of the social stigma attached to it, or is it because of—well, treatment is expensive and it’s not covered by insurance? Ayako: I can be both ways, but there are all certain kinds of counseling that’s very cheap as well. There are free phone counseling offered by government and NPO as well. So I think it’s rather social stigma that they’re afraid of. Tim: If that’s the case, it certainly makes sense that tools like Sparx and your new AI project, which we’ll talk about in a minute, would address that. But actually, before we talk about the new AI chat bot, let’s talk about you for a minute. Tim: You did your undergraduate work in business and economics. You were working at Barclays and Goldman Sachs, and then you went back to the University of Tokyo and got a master’s in clinical psychology. Ayako: Well, I worked at Goldman after I graduated to just support myself financially. But yeah, I worked at Barclays and went back to school. It was because I always wanted to study clinical psychology since I was in high school because I don’t know why, but I was kind of person that get asked for advice a lot. So if there is a student who stopped coming to school, even though we are not a close friend, those people reached me for some reason. And I was the one to listen to what happened and things. So I was always interested in studying clinical psychology. And also I studied abroad in Australia and in US, and I found that counseling is more—Well, I guess are stigmas still, but it was more reachable in those countries, I think. It was more common to use compared to Japan. So I wondered why Japan is like this. Ayako: Yeah, a lot of people are hesitant to use medical care or counseling. Tim: It sounds like this was something that you always wanted to do. So what was the reason for the kind of detour into economics and investment banking? Ayako: Yeah, so I wanted to study psychology in undergrad, but then I also wanted to study in an international environment. Back then I just chose international environment, and in that department that I went had all the courses in English, but they didn’t have psychology course. I was going to take psychology course as just a visitor, but then didn’t allow me to do that. So I went to Chicago as an exchange student, and I did psychology for one year then came back. I was still passionate about studying psychology, but since I did business in Japan, I was like, ‘Okay, well this is maybe my last chance to be in the finance industry and learn stuff.’ So I just went to, anyway, pretty much to go to grad school. Ayako: Yeah, yeah. That’s so true. Ayako: That’s so true. Yeah. I totally agree. And yeah, they were very surprised, and I think they worried about me more than I worried about myself. Tim: A lot of Japanese founders tell me the same thing. Tim: That of course their family wants the best for them, and they’re worried. Was that kind of the same attitude your parents had? Ayako: They did, but they were very supportive at the same time. My family members had psychological disorders as so they knew the importance of it, so they’ve been very supportive. Tim: Okay, so they can see that you’re doing a good thing, and something that could be very important. Ayako: Yeah, yeah, yeah. But also they are very worried too. Tim: Right. Well, it’s had to make money as a start-up, which I suppose is one of the reasons—I think over the last three or fours years, there’s been a very much growing awareness of mental health issues within the start-up community among founders, among some of the really hard driving engineers where it’s recently become more acceptable to admit that there are problems. Ayako: Yeah, yeah, yeah, yeah, yeah. I think so. Yeah, totally I think the society is more open to talk about it. Tim: Well, let’s talk about your new AI chat bot program. What’s your vision about how this is going to work when it rolls out? Ayako: This is still a very rough idea, but I would like to have another game application, which you can talk to a character as if you’re talking to a friend or family. And using AI, I would like to let the character do CBT without the user actually noticing it. If that makes sense? Tim: It makes perfect sense. I think the very first chat bot of all time was based on—I forget the type of therapy. Ayako: Oh really. I didn’t know. Tim: Yeah, Elisa. In the 60s. Ayako: I didn’t know that. Tim: I think it was written in the 1960s, and it emulated a particular type of psychotherapy where the computer would mirror the questions back to the user. I think it’s fascinating that chat bots are still being used in that. Ayako: I see. I didn’t know that. Tim: So within cognitive behavioral therapy, are the rules clear enough and simple enough that you think AI could be trained to do it as well as a person? Ayako: Yeah, there are certain kinds of phrase or way saying for each cognitive distortion. For cognitive distortion called over-generalization, you would say things like, ‘I’m always this. I’m always having bad day.’ There are certain way people use for each type of cognitive distortion so I think it’s not that difficult to identify which cognitive distortion that user have. So would like to make the AI identify or define that cognitive distortion, and let it suggest a different idea or suggest a different way of thinking to users. And I would like to do it not as user talking to a therapist, it’s more like user talking to a friend, and the character would do it without actually notice by user that they are doing CBT. Tim: So it wouldn’t be obvious? Tim: So it would be more like a conversation? Ayako: Yeah, like talking to a cool, unique character like Hello Kitty or an animal, and report your day, and they’ll be your friend, and they are just talking back. Tim: And what do you see as the business model for this? So chat bots are wonderful in that they scale up infinitely well. So is this something that you plan on giving away for free or that you try to integrate with other products? What do you want to do with it? Ayako: Right now what I’m thinking is to charge user monthly. But in the long-term I would like to make several different products. And at certain point I’d like to make the application as a medical device so that doctors can prescribe it and user don’t have to pay that much. Tim: That sounds like a real challenge if the mental health community here in Japan is not supportive of RPGs and videos. What have they been saying about things like these chat bots? Or have you been kind of keeping this secret from them? Ayako: Yeah. I think they would be very hesitant to use it for few years from years from now. But the thing is there are several companies that are starting to make applications that can be covered by insurance. So once those applications are more spread and become more usual to use, then I think us prescribing gaming applications shouldn’t be that hard after those applications are spread. Tim: What would you think about B2B applications where you could have a business, particularly like an engineering firm where their employees could use it anonymously with no records? Ayako: Yeah, yeah. That also works, yeah. I’ve been doing sales for big companies too and having a good reaction from them because it’s very hard for a company as well if one of employees have depression. It costs them a lot. Ayako: Yeah, the team atmosphere gets really bad. So they are having a problem with it too. Tim: So what does the attitude among corporate Japan about mental health issues? Is that something they are trying to address? Ayako: Yeah. They’ve been trying really hard to improve the situation. And they’ve been using several services and several different kinds of products. But it’s usually the product that they provide after those workers get depression. Ayako: So currently, there aren’t much things done for prevention. And I’m telling them that can be prevention because it teaches how you should be thinking in different kind of cognitive distortion, and how to reduce stress. So if you do it in advance, then there are less chance of getting depression. Tim: The appeal seems really clear on the business side, particularly like a chat bot where for the business owner, they can get the benefit of having a more motivated workforce. And for the individuals if it’s done right, the business owners don’t know which employees are using the chat bot. They don’t know what they’re telling them. 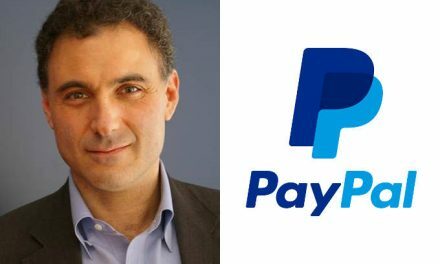 It seems like everyone would benefit, and a lot of companies would be willing to pay for that. Ayako: Yeah, yeah, yeah, yeah, yeah. And past research shows that if you have depression, them the productivity level decrease by 11%. And as I said, 75% of people who have depression doesn’t seek medical treatment, which means a lot of people just continue working with low level of productivity. Tim: I think that describes a lot of the Japanese workforce. Ayako: So if it can be prevented in advance, then those business knows a problem. They know a lot a people have depression were depressed a little bit. And even though they can do better, they have not been able to do their best because of the depression. A lot of owners see it as a problem, and they have been noticing it so they have been very interested in my products. Tim: And this would be very interesting to see business take the lead on this where the mental health community is so conservative and so protective of their own territory that the business is the one looking for the results. Ayako: Yeah, so there are huge gap of service receiver and service provider because the service provider are so conservative and they don’t change their way. And I think that’s why a lot of start-ups started to doing healthcare or mental care business because they started to realize those gaps. Ayako: Yeah, for start-ups and innovation. Tim: —what would you change? Ayako: I would say the education. I don’t think many schools offers good entrepreneurship course. And since not many entrepreneurs has enough information for start-up, I’ve seen a lot of start-ups having issues with investors or—I’m trying to say what’s happening right now in Japan is that since a lot of entrepreneurs are not that educated to negotiate with investors, a lot of VC investors take too much portion of shares. But since they don’t know what’s global standard, and since the entrepreneurs are very suffering to get money, they would just agree with the offer. And later on, they notice that well, this is too much portion. They are taking too much. Tim: So you would increase the education of kind of the mechanics of how to run a business, and how to start, what’s appropriate? Ayako: Plus, if being entrepreneur becomes more common through those courses, other departments like—normal education department like where I was will be more open to have student run a business. Tim: I could see that. But for example, I’m imagining that even if—Well, Todai has courses in entrepreneurship, right? Tim: Your faculty probably would not have been too happy with you taking those courses. Ayako: Yeah, that’s so true too. Yeah, I hope that having student entrepreneur would be more common in Japanese universities. Tim: So the University of Tokyo, Todai, has got—It’s actually one of the better entrepreneurship programs in Japanese universities now. From what I see, one of the biggest problems is that the different departments do not work together. So when you were at Todai, did your faculty kind of have the impression that, ‘Well, the psychology department is we study these topics, and entrepreneurship is for the business students.’, or were they open to the idea of different departments working together? 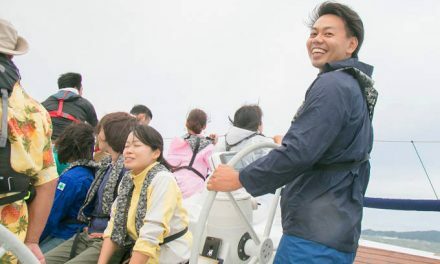 Ayako: No, I don’t think so because I was working or collaborating with those entrepreneurship course department people, and I was asking them advice, they were happy to give me, and they have been very supportive. Tim: Okay. On the entrepreneur side? Tim: But you had to keep this a secret from the psychiatry side? Ayako: Yeah, and right after they found out I was preparing for it while I was in school, I explained how I was having contact with the entrepreneur department, and they weren’t happy at all. And what’s worse is that after I told those entrepreneurship department that I’m having a problem with psychological department, they weren’t happy either. So I think they become a little bit more reluctant to support me. Ayako: No, they were just sitting there. Tim: That’s not terribly helpful. After all, those department are so school side as well. Yeah. Tim: Well, I think it would be one of the most important things that I think universities can do. In addition to generally providing information and instruction about entrepreneurship, is kind of opening up the silos. Letting computer scientists work with people who are studying medicine, and designers work with people studying civil engineering. And that kind of cross-pollination. Right? Do you think that was a problem on the psychiatry side and the medical side, or do you think that was across all departments in the university? Are some better than others? Ayako: Some better than others I think. Those technology departments are more open to have entrepreneur students. Tim: Maybe as we see more and more medical technology start-ups and more start-ups like yours, the medical school and the psychiatry departments will open up and be a little more tolerant and supportive of people trying this. Ayako: Yeah, I hope so. Tim: I hope so too. Hey listen, thank you so much for sitting down with me. Ayako: Thank you so much for having me. Ayako’s experience with her university professors is a perfect microcosm of why it can still be so hard to introduce meaningful innovation in Japan. At Tokyo University, Ayako had to hide her efforts from the very professors, who in most western universities would be the most encouraging and most anxious to help her. Hikari Labs was not violating legal or ethical rules. They were not putting patients at any kind of risk. They were guilty only of doing something new. Basically, innovating without permission. Even though this innovation is happening after she graduated, and even though it’s providing positive results for more people at a lower cost, her professors tried to shut her down, and then demanded an apology because doing something new might somehow reflect poorly on her alma mater. I have to admit that this guaranteed safety and correctness of the existing hierarchy in Japan drives me a bit crazy at times. And it’s one of the strongest forces holding back innovation here. Of course, Ayako and those like her, are not letting themselves be held back. While academia might not see the merit in solving actual problems, it’s good to see that Japanese business does. Even though mental health issues still carry a stigma in Japan, Japanese companies understand that it’s hurting their bottom line in a very measurable way. And they’re willing to invest in innovative products that might help them improve things. Add to that the government’s recent focus on pushing companies to provide a better work-life balance for their workers. And it means that more attention will be paid to mental health issues in the coming years. And there should be an expanding market for Hikari Lab’s mental health games. It’s rare to find a start-up that provides such an obvious win-win for all parties involved. If you’ve got a story about mental health or maintaining a work-life balance, we’d love to hear from you. So come by DisruptingJapan.com/show083 and tell us about it. 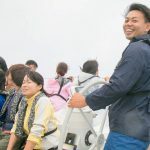 And when you drop by the site, you’ll find all the links and notes that Ayako and I talked about and much, much more in the resources section of the post. And most of all, thanks for listening. And thank you for letting people interested in Japanese start-ups know about the show. Ah, the classic ‘putting anything new/innovation in a box’ and playing the hierarchy trump card once again. I can imagine how frustrating this must’ve been for Ayako. I mean, not only the aftermath of her telling her professors after graduating. Just imagining that you have to work on such a project knowing that you mustn’t draw from the pool of resources you have available…It’s probably a total letdown, especially for people who like to share projects like me. This one is my favorite of your latest podcasts, Tim! I’ve had quite a few friends with anxiety, one even with clinical depression. It’s fascinating AND appalling how people sweep everything under the rug here. Back home at least you can get somewhat of a support structure and people are more prone to seek help because of the easy accessibility. I’m wondering if at one point Ayako would try branching out to countries with similar mental health environment like South Korea too. Of course, after she secures the local market first. The game script off the NZ papers seems very “exporatble”, very straight to the point and the “tiers” achieve a great buildup. A small note: I think you’ve inserted Dave’s LinkedIn profile from the other podcast here too, instead of Ayako’s. Cheers and as always, thanks for the quality podcast! I’m gal you enjoyed this one. I think Ayako is doing some pretty important work. The University of Tokyo has some of the best startup support in the Japan, and I know a lot of the team there, so I was surprised at how much resistance she faced. Some parts of Japan are still fighting innovation with everything they have, it seems. I think the technology should be exportable anywhere and will be a huge advance for the mental heath of humanity, but it will hit traditional therapists hard. Perhaps that why she faced so much resistance.